The first time I heard of 'Soul Group Reincarnations' was while watching David Wilcock's 'The 2012 Enigma' and the striking similarities between all members of the soul group discussed especially David Wilcock & Edgar Cayce were simply too evident to overlook the fact that this could well be the case with most of us here on Earth in this life, reincarnated together with a mission on hand. American President Barack Obama, First Lady Michelle Obama, Secretary Of Defense Donald Rumsfeld are also believed to be part of a soul group reincarnation. 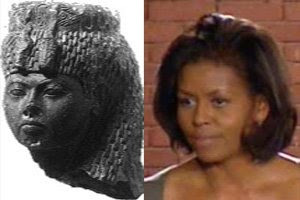 While Barack Obama shares a stark similarity with the Egyptian Pharaoh Akhenaton ( means the one who serves Aton ; Aton is the name he chose to represent the ultimate creator god ), Michelle Obama is believed to be the reincarnation of Queen Tiye, a very powerful Egyptian queen who was instrumental in placing Akhenaton on the throne. Akhenaton was a famous Egyptian Pharaoh. He was originally named Amenhotep IV, He was the son of Amenhotep III. His mother was Queen Tiye. He was married to Nefertiti. Akhenaton had two daughters with Nefertiti and they look amazingly like Malia and Sasha. According to the Akashic Records Obama and Rumsfeld were brothers in a very recent incarnation. Giuseppe Cardinal Pecci S.J. (13 December 1807—8 February 1890) was a Catholic thomist theologian and Roman Catholic Cardinal. Throughout his life, Pecci refused to be photographed, considering painting a far more superior and benevolent presentation of a human being. 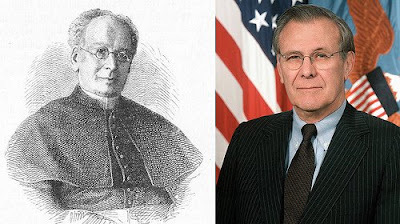 Cardinal Pecci died in 1890 and reincarnated as Donald Rumsfeld. Cardinal Pecci was the older brother of Vincenzo Cardinal Pecci, who became Pope Leo XIII. 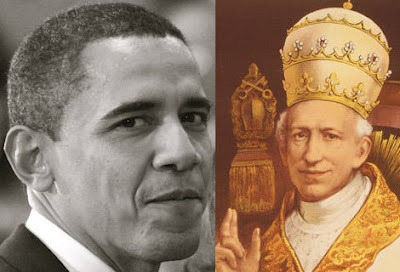 Pope Leo XIII reincarnated as Barack Obama. They also have remarkable astrological similarites, with the inner planets on both charts appearing in almost exactly the same positions — at billions-to-one odds against chance. David’s birth planets are the closest match to Cayce’s in a 157-year period after Cayce’s death — which helps him continue to work out the same karma. Edgar’s alleged past-life identity as Egyptian priest Ra-Ta was said to have co-designed the Great Pyramid and Hall of Records with Thoth. David’s readings began in November 1996, and they asked him to move to Virginia Beach in October 1997. 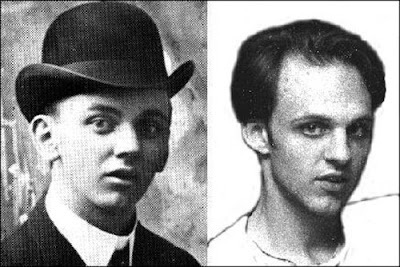 Many key people began noticing his shocking resemblance to Cayce, since the A.R.E. is still headquartered there. David’s readings confirmed that there was a past-life connection in November 1997 — and he visited the A.R.E., the Cayce organization, in 1998 to announce the connection. He was met with extreme interest at all other levels, but harsh criticism from the very top. 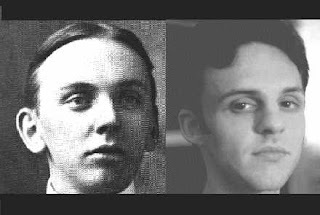 Nevertheless, David Wilcock's close friends bear a very close resemblance to Edgar Cayce's friends from his time again suggesting a very strong possibility of a 'Soul Group Reincarnation'. In addition to our tendency to repeat past-life relationships in order to eventually get it right, quite a number of sources claim that large groups often reincarnate together. Many New Age leaders and channeled sources claim, for example, that groups from Atlantis have returned now in order to participate in the new spiritual and technological crises we face, and hopefully to help us avert them this time around. And other groups supposedly represent Ascended Masters who return to Earth together in order to create breakthroughs in human social conditions. The men who drafted the Declaration of Independence and the United States Constitution have often been cited as one such group. The cycle of birth and death goes on until the necessary spiritual lessons are learnt by the incarnating soul to evolve to the next dimension of it's being. OK. I look a lot like Hillary Clinton. I see it myself and people tell me about it all the time. SO WHAT ??!! I do not share any of her beliefs, morals, ideals or anything at all. STOP claiming reincarnation on the account of similarity of physical features. It would be silly to suggest reincarnation, who should have reincarnated into whom or what body?